The NDP Divisional Committee is elected by our members to provide advice in areas of strategy and policy. The Committee is made up of experienced and committed people from a range of disciplines in the disability sector. Danielle's over 15 years’ experience includes various senior corporate and finance roles. Prior to her current role, she was Activ's Chief Financial Officer, General Manager of Strategy and Finance, and General Manager Strategy. 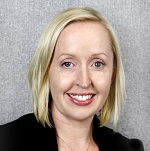 Danielle is also a Graduate Member of the Australian Institute of Company Directors (AICD), a qualified accountant (CPA) and Chartered Secretary (ACIS). 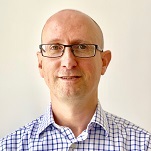 Abel is a Registered Psychologist with experience in positive behaviour support, treatment of adults and children, and rehabilitation from psychological injuries. 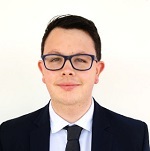 He has over 10 years' experience in the disability industry with roles that includes support worker, cluster manager, behaviour support specialist, and project officer with NGOs and ADHC. He's also previously held roles in teaching and rehabilitation. Casey is the Director of an organisation, which specialises in training and mentoring direct support professionals and organisations, with a particular focus on rural NSW. 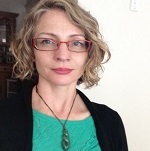 She has over 14 years' experience in the disability sector, and has received awards for innovative practice that promotes social justice principles by previous employers, and the Australian Society for Intellectual Disability. Casey is also a member of the NSW Council for Disability. 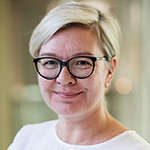 Fiona's 30-year career spans across different parts of the disability sector -- from early intervention, school aged support, and post-school transition to Australian Disability Enterprises (ADEs) and residential facilities. She has held a variety of roles in various organisations, including service delivery and coordination, training, Early Intervention Therapist, leadership, as well as a Non-Executive Director on an NGO Board. Jo has over 13 years’ experience in the disability sector working in various roles. As a Training Coordinator at Greystanes Disability Services, she oversees the training and the professional development needs of all Greystanes employees. Previously, she worked to provide meaningful and enjoyable educational, recreational and skill-building day time activities to adults with a range of support needs as a Practice Leader and Lifestyle Educator for Greystanes. Karen has been working in the disability sector for over 25 years, and has a lived experience of disability. She is the Founder of the NDIS Discussion Group on Facebook. 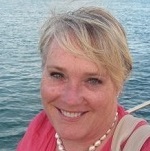 Karen has worked on a number of Government consultation programs and civic projects. She previously worked with the Attorney General's Office on a digital privacy reform, promoting awareness of barriers to people with disability in terms of privacy, and getting their rights upheld. 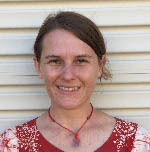 Lilly has been working in the disability sector for 16 years, with a qualification and experience in Speech Pathology. As Professional Services Manager at Lifestart, she oversees policy and practice development, manages the Practice Lead Team, and has developed the student placement programs across 15 branches. Lilly is part of the Disability Workforce Education Reference Group (DWERG), and has coordinated two Health Education and Training Institute (HETI) funded projects, focused on the development of digital media in promoting student placements within the disability. 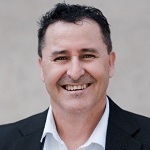 Patrick has more than 16 years’ of sector experience in various front line and middle management roles and has extensive experience in individual and system advocacy, community development and policy work on the NDIS and related programs such as ILC. Patrick is currently the Principal Consultant of SUDACA Consulting, working with current and new NDIS providers to ensure they thrive under the NDIS. Richard is a support worker at Scope in Victoria. He has vast experience in disability development and support. He holds a Certificate IV in Disability and an Advanced Diploma in Community Sector Management. He has been a memer of NDP since February 2015. Prior to working at Scope, Richard was a media, PR and marketing professional. He holds a Masters of Communication. National Disability Practitioners' small secretariat team is made up of dedicated staff who work closely with the Committee and members. Eddie has extensive experience in member organisations across a number of sectors and industries, including managers, veterinarians, accountants and marketeers. Ensuring member satisfaction by creating services and benefits that increase the membership value proposition is his passion. 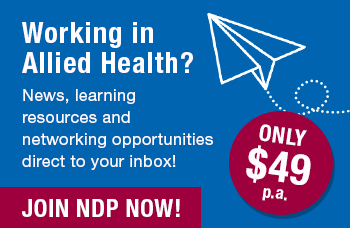 Eddie is thrilled to join NDP at this exciting time in the disability sector. Cecile has over 8 years' experience in communications, content creation and marketing from working in finance and media broadcasting. She is passionate about personal development, and has helped people build self-confidence, communication and leadership skills by leading a Toastmasters Club. Cecile advocates for mental health awareness as a member of the Beyondblue Ambassador and Speaker Bureau.